Crikey, I think Marvel might be the only company running with a Holiday special this year - or did I miss all the others? Some comic traditions just should never come second place. 80 page giants, holiday specials and Elseworlds chief among them. 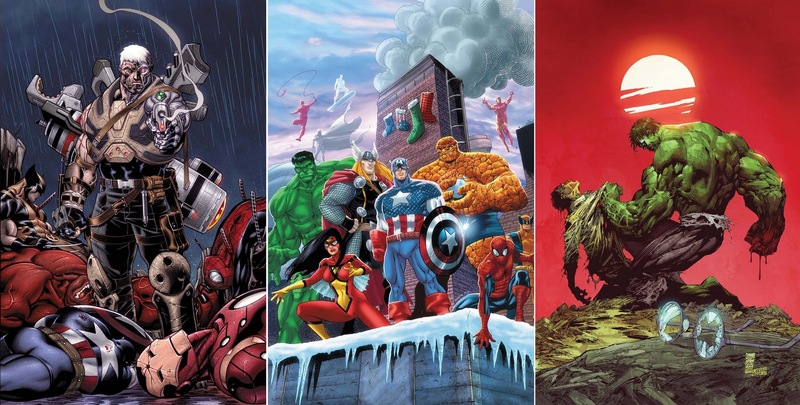 Of all Marvel's festive offerings, these four covers take top honours. 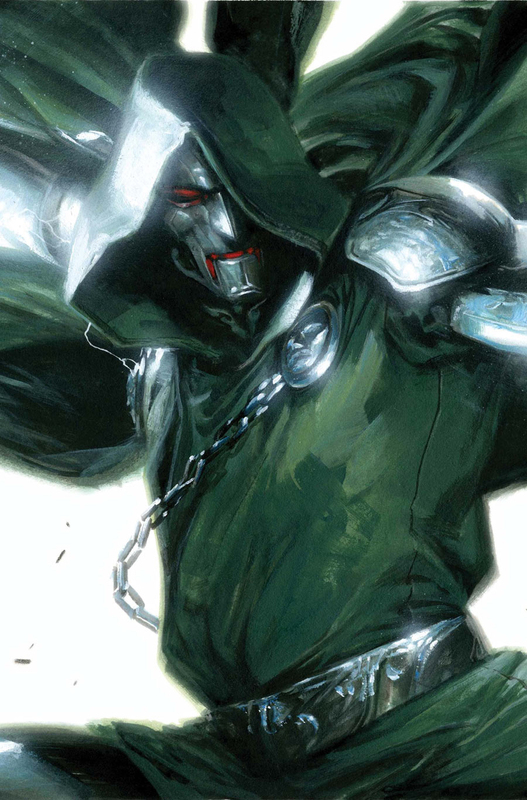 COVER OF THE MONTH: GABRIELLE DELL'OTTO - VENGEANCE #6 Okay so Doctor Doom doesn't exactly scream 'Merry Christmas', but when he's rendered this good and evil, it sure is a reason to celebrate. Hopefully Marvel turns these Vengeance covers into a killer line of posters soon! CLOSE CONTENDERS: Ed McGuinness - Avengers: X-Sanction #1, Tim Steely - Marvel Holiday Special 2011, and Marc Silvestri - The Incredible Hulk #3. For the full Marvel December run down, click the jump. Thanks for the great feedback Reviewer! That's a nice site you've got out east there too aye - sweet job. Poster worthy? Most of what you post is poster worthy my friend. This one is no exception. Thanks Craig! Glad you like my pick in picks mate!